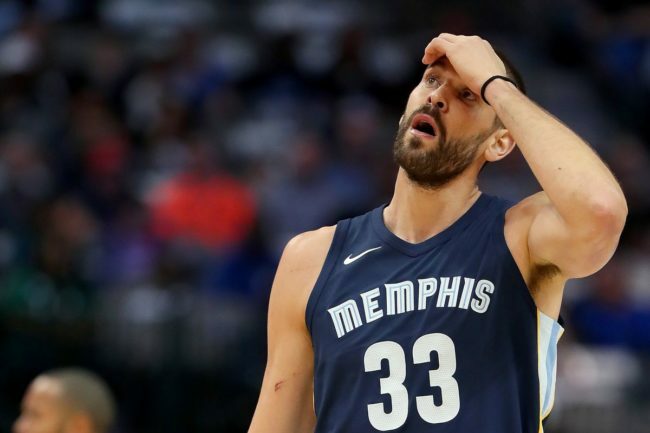 The Toronto Raptors have pulled off one of the league’s biggest deals at the NBA trade deadline, acquiring Marc Gasol from the Memphis Grizzlies for Jonas Valanciunas, C.J. Miles and Delon Wright and a 2024 second-round draft pick. The blockbuster deal, which was completed late Thursday evening, brings a player long coveted by Raptors president Masai Ujiri to Toronto. It’s also a power move for a Toronto team looking to at least keep pace with Milwaukee and Philadelphia in the Eastern Conference. “(Gasol) is one of the best fives in the league for a long time now, perennial all-star, defensive player of the year,” VanVleet said. “Just really excited to see how we can acclimate him to what we do and see how much he can give us a boost. Obviously we’re very excited about that.” Gasol is a three-time all-star and the 2013 defensive player of the year. He’s averaging 15.7 points, 8.6 rebounds, 1.2 blocks and 1.1 steals a game, and his 4.7 assists a night is second best in the league behind Jokic. The seven-foot-one Spaniard is a two-time Olympian, and will be reunited with Spanish coach and Raptors assistant Sergio Scariolo in Toronto. Gasol, who played 11 seasons in Memphis, is slated to make US$24.1 million this season and has a player option for $25.6 million next season.